Um, I am having a nightmare with it too! Any words of wisdom? I have been close to a breakdown about this blasted collar. I can’t deny I found the collar very tricky! Here’s Abby’s reply to me – she really was very helpful and I’m sure she’d be happy to help if you emailed her. 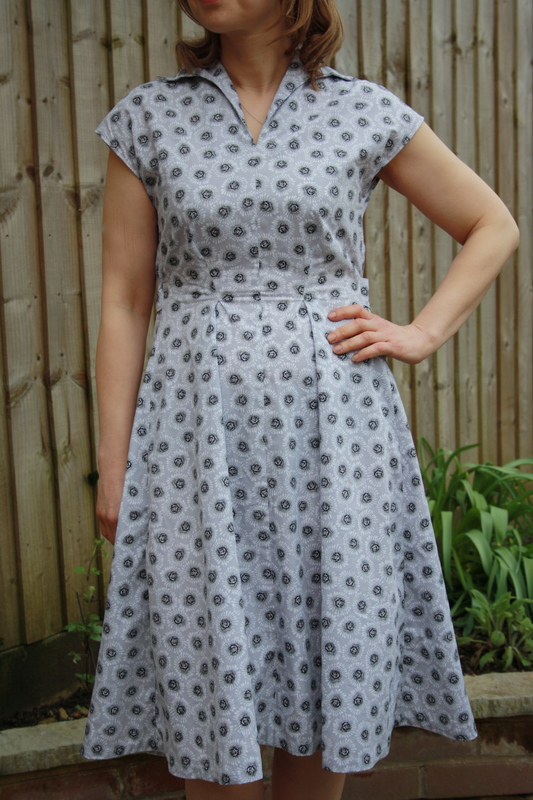 “You should have the front dress collar already attached to the dress and sewn up at the centre back seam. 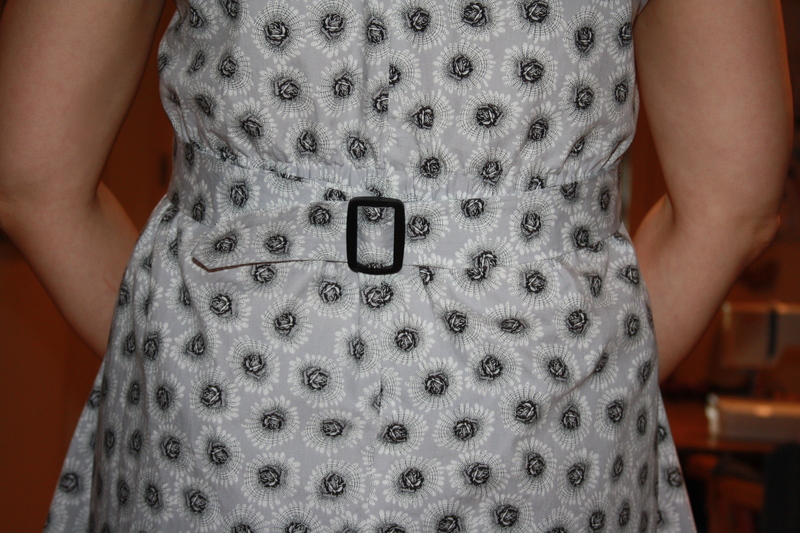 The collar facing – you should have cut out 1 pair of piece #3, which will give you 2 separate pieces of #3 piece. 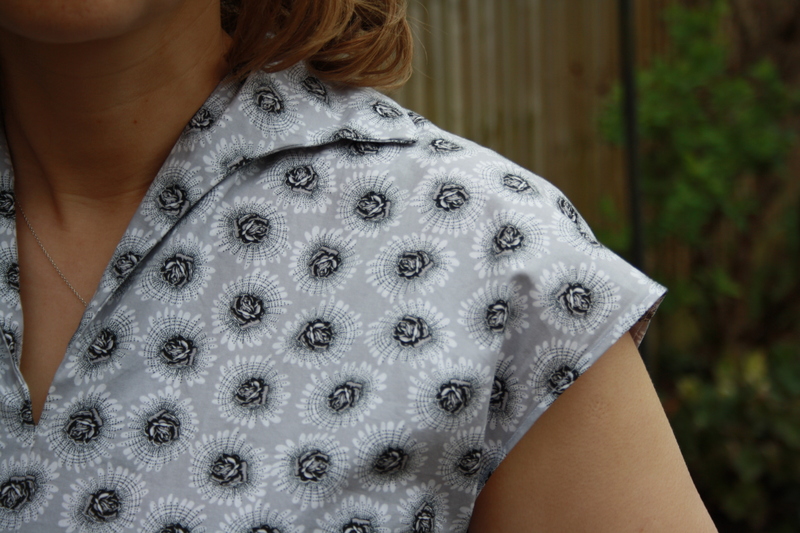 Then these are sewn together at the centre back seam exactly the same as the front dress collar was at this seam. I think you may have cut out an extra pair of the collar facing, so just disregard this extra piece. You only need the front dress collar and 1 collar facing. It took a lot of head scratching before I could see how it should look but I got there in the end. Good luck!